Healthouse and Naturhouse professionals have created a selection of specific and customised programmes tailored to your weight reduction needs and based in anti-stress, anti-aging, anddetox – constantly advised and accompanied by our medical and nutrition team paired with the passion and love of our hospitality team always to be a perfect host. 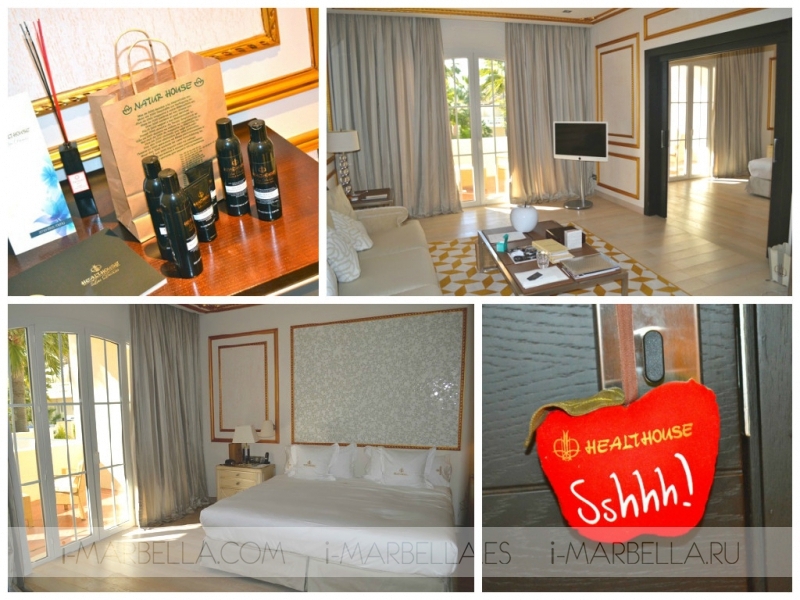 Healthouse Las Dunas is located by the ocean and turned out to be a very private location just 10 km out of Marbella. 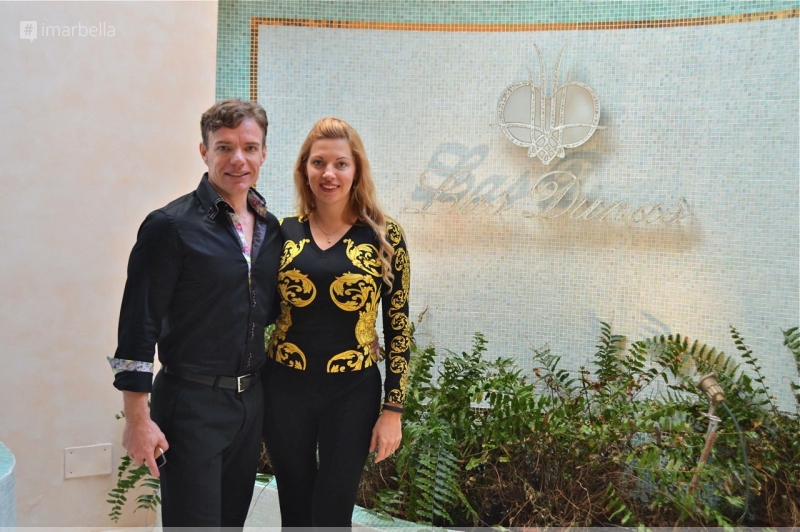 The hotel boasts exceptional surveillance systems, and every single visitor is registered by security guards. Upon arrival, we were greeted by a very agreeable lady (unlike other resorts where visitors are ushered in by a male employee). The lady kindly asked us to come in and, to our great surprise, carried our suitaces. I had an urge to help her, but she refused. After check-in, we were shown our room, the suitcases safely delivered. It should definitely be mentioned that the temperature in the room was very pleasant. The room itself was spotless, with a trace of a wonderful scent. Later, the hotel and the order of the house were introduced. The hotel functions very efficiently as is characteristic of Grand Lux hotels. Namely, I never noticed any of the cleaning ladies, and everything was managed to be done in our absence as if by magic. The hotel offers its visitors peace and privacy. Still, our room was cleaned twice a day -- in the afternoon and in the evening. Most rooms at Healthouse Las Dunas are spacious and comfortable suites. Bathrooms have baths with bubble massage. Towels are soft and absorb water instantly, just like morning gowns. In addition to comfortable slippers, the hotel also offers flip-flops to wear on the premises. High-quality still water with vitamins and minerals was always available in the room free of charge. The hotel features a luxurious spa centre that offers a variety of spa treatments, swimming pools, gyms, and saunas. In the garden of the hotel, there are also outside pools and fountains. The outside pools are heated, which means that they can be enjoyed in the winter as well. Last but not least, the hotel staff are very polite, friendly, and always eager to help. 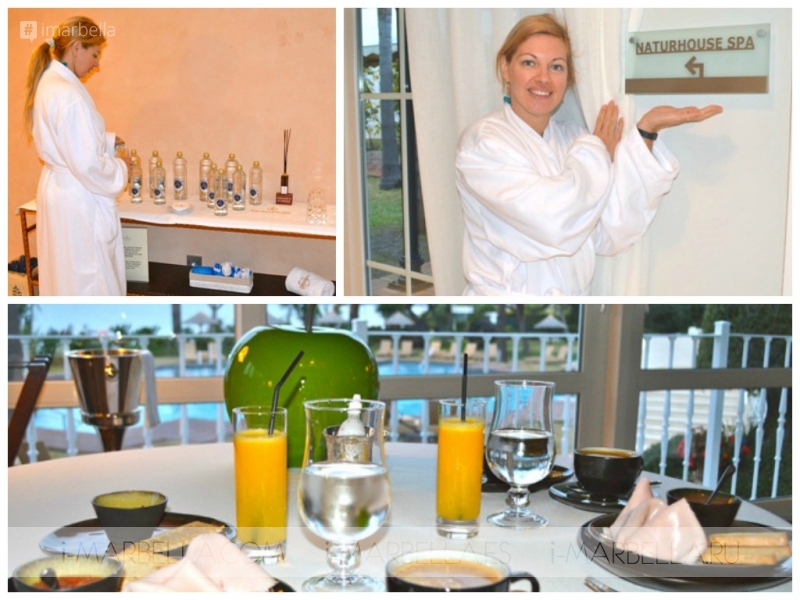 I had a fantastic time at Healthouse Las Dunas! For more information please click http://www.healthouse-naturhouse.com/en.